Spring 2018. Educational budgeting game sponsored by YouthEntity, developed by Studio Calibrate for the iOS/Android. BizWorks combines business simulation of a bakery, a robust character support system and mini-games to teach financial concepts to 8-10th graders. My Roles. Game Design: I defined mechanics and contributed player-employee dynamics. Art Direction: I defined the overall look of the prototype as well as the character design, environments and UI art. I was also supporting writer for the character interactions. Our team was compelled to create a game prototype that would teach financial literacy to 8th-10th graders: to inspire learning specific to chosen career paths, explore budgeting and consequences of financial decisions. We identified 3 main design components that would be key in introducing financial concepts, supporting material retention and be engaging to play! These are: Customization, Exploration, Progress. The player manages resources for their business by buying stock, assigning work, dividing earnings and deciding on short and long term financial goals. Their ultimate goal is to pay off the loan they took out at the start. Players have all of the tools to make their business thrive, and it matters that they run it well! The player can interact with their employees: to progress their story lines and advise them when needed. We found that building narrative investment and a sense of community incentivizes the player to learn and offer sound financial advice. Apart from that, it adds to the replay value! Fast-paced mini-games speed up the shifts and break up the pace of the game. 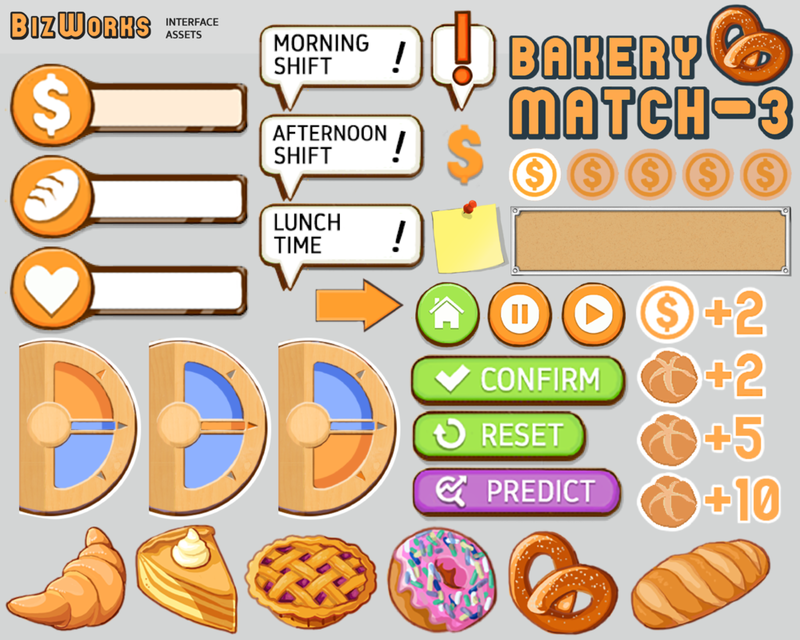 As proof of concept we implemented a Match-3 game, where the player gets hands-on experience in creating the baked goods that they're selling that day.